Below you will find all condos for sale in Sunny Isles Beach. These properties are Sunny Isles Beach’s finest condos that are currently on the market. Sunny Isles Beach Condo Listings are updated every 10 minutes. Please contact us if you have an interest in purchasing a condo in Sunny Isles Beach and would like to schedule a showing. Sunny Isles Beach (SIB, officially City of Sunny Isles Beach) is a city located on a barrier island in northeast Miami-Dade County, Florida, United States. The City is bounded by the Atlantic Ocean on the east and the Intracoastal Waterway on the west. As of 2010, the population is 20,832. Sunny Isles Beach is nicknamed “Little Moscow” due to its large and growing Russian and Russian Jewish population. Sunny Isles Beach is an area of cultural diversity with stores lining Collins Avenue, the main thoroughfare through the city. 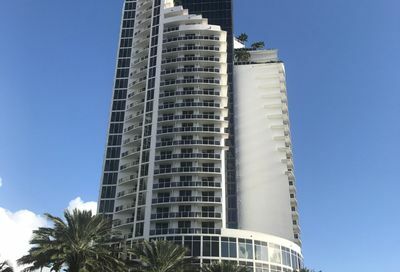 It is a growing resort area and developers such as Michael Dezer have invested heavily in construction of high-rise hotelsand condominiums while licensing the Donald Trump name for some of the buildings for promotional purposes. Sunny Isles Beach has a central location, minutes from Bal Harbour to the south, and Aventura to the north and west. In 1920, Harvey Baker Graves, a private investor, purchased a 2.26-square-mile (5.9 km2) tract of land for development as a tourist resort. He named it Sunny Isles — The Venice of America. When the Haulover bridge was completed in 1925, the area became accessible from Miami Beach, attracting developers who widened streams, dug canals and inlets and created islands and peninsulas for building waterfront properties on Biscayne Bay. In the 1920s, Carl G. Fisher built an all-wooden racetrack with stands for 12,000 spectators, known as the Fulford-Miami Speedway. This event, held on February 22, 1926, dubbed “Carl G. Fisher Cup Race,” was a forerunner to the auto races at Sebring and Daytona. In September 1926, after just one race, the track was destroyed by the 1926 Miami Hurricane. This event was held in Fulford-By-the-Sea which is today’s North Miami Beach. Sunny Isles Beach was known as North Miami Beach until 1931, then known as Sunny Isles until 1997.